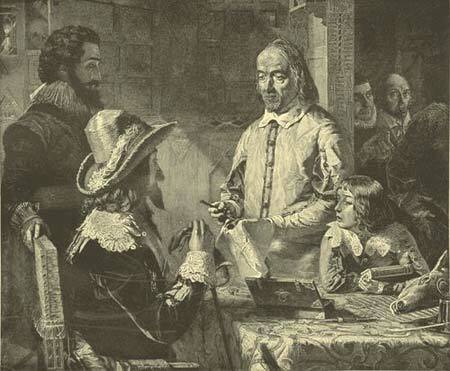 William Harvey was born on April 1, 1578, at Folkestone, on the southern coast of Kent. He was the eldest of nine children; of the rest little more is known, than that several of the brothers were among the most eminent merchants in the city of London during the reigns of the two first Stuarts. His father, Thomas Harvey, followed no profession. He married Joanna Falke, at the age of twenty, and lived upon his own estate at Folkestone. This property devolved by inheritance upon his eldest son; and the greater part of it was eventually bequeathed by him to the college at which he was educated. At ten years of age he commenced his studies at the grammar school in Canterbury; and upon May 31, 1593, soon after the completion of his fifteenth year, was admitted as a pensioner at Caius College, Cambridge. At that time a familiar acquaintance with logic and the learned languages was indispensable as a first step in the prosecution of all the branches of science, especially of medicine; and the skill with which Harvey avails himself of the scholastic form of reasoning in his great work on the Circulation, with the elegant Latin style of all his writings, particularly of his latest work on the Generation of Animals, affords a sufficient proof of his diligence in the prosecution of these preliminary studies during the next four years which he spent at Cambridge. The two next were occupied in visiting the principal cities and seminaries of the Continent. He then prepared to address himself to those investigations to which the rest of his life was devoted; and the scene of his introduction to them could not have been better chosen than at the University of Padua, where he became a student in his twenty-second year. The ancient physicians gathered what they knew of anatomy from inaccurate dissections of the lower animals, and the slender knowledge thus acquired, however inadequate to unfold the complicated functions of the human frame, was abundantly sufficient as a basis for conjecture, of which they took full advantage. With them everything became easy to explain, precisely because nothing was understood; and the nature and treatment of disease, the great object of medicine, and its subsidiary sciences, was hardily abandoned to the conduct of the imagination, and sought for literally among the stars. Nevertheless, so firmly was their authority established, that even down to the close of the sixteenth century the naturalists of Europe still continued to derive all their physiology, and the greater part of their anatomy and medicine, from the works of Aristotle and Galen, read not in the original Greek, but re-translated into Latin from the interpolated versions of the Arabian physicians. The opinions entertained by these dictators in the republic of letters, and consequently by their submissive followers, with regard to the structure and functions of the organs concerned in the circulation, were particularly fanciful and confused; so much so that it would be no easy task to give an intelligible account of them that would not be tedious from its length. It will be enough to say, that a scarcely more oppressive mass of mischievous error was cleared away from the science of astronomy by the discovery of Newton, than that from which physiology was disencumbered by the discovery of Harvey. But though the work was completed by an Englishman, it is to Italy that, in anatomy, as in most of the sciences, we owe the first attempts to cast off the thralldom of the ancients. Mundinus had published a work in the year 1315, which contained a few original observations of his own; and his essay was so well received that it remained the text-book of the Italian schools of anatomy for upward of two centuries. It was enriched from time to time by various annotators, among the chief of whom were Achillini, and Berengarius, the first person who published anatomical plates. But the great reformer of anatomy was Vesalius, who, born at Brussels in 1514, had attained such early celebrity during his studies at Paris and Louvain, that he was invited by the Republic of Venice, in his twenty-second year, to the chair of anatomy at Padua, which he filled for seven years with the highest reputation. He also taught at Bologna, and subsequently, by the invitation of Cosmo de' Medici, at Pisa. The first edition of his work, "De Corporis Humani Fabrica" was printed at Basle, in the year 1543; it is perhaps one of the most successful efforts of human industry and research, and from the date of its publication begins an entirely new era in the science of which it treats. The despotic sway hitherto maintained in the schools of medicine by the writings of Aristotle and Galen was now shaken to its foundation, and a new race of anatomists eagerly pressed forward in the path of discovery. Among these no one was more conspicuous than Fallopius, the disciple, successor, and in fame the rival, of Vesalius, at Padua. After him the anatomical professorship was filled by Fabricius ab Aquapendente, the last of the distinguished anatomists who flourished at Padua in the sixteenth century. Harvey demonstrating the Circulation of the Blood. Harvey became his pupil in 1599, and from this time he appears to have applied himself seriously to the study of anatomy. The first germ of the discovery which has shed immortal honor on his name and country was conceived in the lecture-room of Fabricius. He remained at Padua for two years; and having received the Degree of Doctor of Arts and Medicine, with unusual marks of distinction, returned to England early in the year 1602. Two years afterward he commenced practice in London and married the daughter of Dr. Launcelot Browne, by whom he had no children. He became a Fellow of the College of Physicians, when about thirty years of age, having in the meantime renewed his degree of Doctor in Medicine, at Cambridge; and was soon after elected Physician to St. Bartholomew's Hospital, which office he retained till a late period of his life. 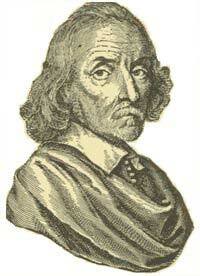 On August 4, 1615, he was appointed Reader of Anatomy and Surgery to the College of Physicians. From some scattered hints in his writings it appears that his doctrine of the circulation was first advanced in his lectures at the college about four years afterward; and a note-book in his own hand-writing is still preserved at the British Museum, in which the principal arguments by which it is substantiated are briefly set down, as if for reference in the lecture-room. Yet with the characteristic caution and modesty of true genius, he continued for nine years longer to reason and experimentalize upon what is now considered one of the simplest, as it is undoubtedly the most important known law of animal nature; and it was not till the year 1628, the fifty-first of his life, that he consented to publish his discovery to the world. In that year the "Exercitatio Anatomica de Motu Cordis et Sanguinis" was published at Frankfort. This masterly treatise begins with a short outline and refutation of the opinions of former anatomists on the movement of the animal fluids and the function of the heart; the author discriminating with care, and anxiously acknowledging the glimpses of the truth to be met with in their writings; as if he had not only kept in mind the justice due to previous discoveries, and the prudence of softening the novelty and veiling the extent of his own, but had foreseen the preposterous imputation of plagiarism, which, with other inconsistent charges, was afterward brought forward against him. This short sketch is followed by a plain exposition of the anatomy of the circulation, and a detail of the results of numerous experiments; and the new theory is finally maintained in a strain of close and powerful reasoning, and followed into some of its most important consequences. The whole argument is conducted in simple and unpretending language, with great perspicuity, and scrupulous attention to logical form. The doctrine announced by Harvey may be briefly stated thus: The blood circulates through the body, thereby sustaining life. The heart is simply the pump which drives the blood through the arteries, from whence it returns impure, and is then forced through the lungs and repurified. The pulmonary circulation had been surmised by Galen, and maintained by his successors; but no proof even of this insulated portion of the truth, more than amounted to strong probability, had been given till the time of Harvey, and no plausible claim to the discovery, still less to the demonstration, of the general circulation has ever been set up in opposition to his. Indeed, its truth was quite inconsistent with the ideas everywhere entertained in the schools on the functions of the heart and other viscera, and was destructive of many favorite theories. The new doctrine, therefore, as may well be supposed, was received by most of the anatomists of the period with distrust, and by all with surprise. Some of them undertook to refute it, but their objections turned principally on the silence of Galen, or consisted of the most frivolous cavils; the controversy, too, assumed the form of personal abuse even more speedily than is usually the case when authority is at issue with reason. To such opposition Harvey for some time did not think it necessary to reply; but some of his friends in England, and of the adherents to his doctrine on the Continent, warmly took up his defence. At length he was induced to take a personal share in the dispute in answer to Riolanus, a Parisian anatomist of some celebrity, whose objections were distinguished by some show of philosophy, and unusual abstinence from abuse. The answer was conciliatory and complete, but ineffectual to produce conviction; and in reply to Harvey's appeal to direct experiment, his opponent urged nothing but conjecture and assertion. Harvey once more rejoined at a considerable length; taking occasion to give a spirited rebuke to the unworthy reception he had met with, in which it seems that Riolanus had now permitted himself to join; adducing several new and conclusive experiments in support of his theory; and entering at large upon its value in simplifying physiology and the study of diseases, with other interesting collateral topics. Riolanus, however, still remained unconvinced; and his second rejoinder was treated by Harvey with contemptuous silence. He had already exhausted the subject in the two excellent controversial pieces just mentioned, the last of which is said to have been written at Oxford about 1645; and he never resumed the discussion in print. Time had now come to the assistance of argument, and his discovery began to be generally admitted. To this, indeed, his opponents contributed, by a still more singular discovery of their own, namely, that the facts had been observed, and the important inference drawn, long before. This was the mere allegation of envy, chafed at the achievements of another, which, from their apparent facility, might have been its own. It is indeed strange that the simple mechanism thus explained should have been unobserved or misunderstood so long; and nothing can account for it but the imperceptible lightness as well as the strength of the chains which authority imposes on the mind. In the year 1623 Harvey became physician extraordinary to James I., and seven years later was appointed physician to Charles. He followed the fortunes of that monarch, who treated him with great distinction during the first years of the civil war, and he was present at the battle of Edgehill, in 1642. Having been incorporated doctor of physic by the University of Oxford, he was promoted by Charles to the wardenship of Merton College, in 1645; but he did not retain this office very long, his predecessor, Dr. Brent, being reinstated by the Parliament after the surrender of Oxford in the following year. Harvey then returned to London, and resided with his brother Eliat at Cockaine house, in the Poultry. About the time of Charles's execution he gave up his practice, which had never been considerable, probably in consequence of his devotion to the scientific, rather than the practical, parts of his profession. He himself, however, attributed his want of success to the enmity excited by his discovery. After a second visit to the Continent, he secluded himself in the country, sometimes at his own house in Lambeth, and sometimes with his brother Eliat at Combe, in Surrey. Here he was visited by his friend, Dr. Ent, in 1651, by whom he was persuaded to allow the publication of his work on the "Generation of Animals." It was the fruit of many years of experiment and meditation; and, though the vehicle of no remarkable discovery, is replete with interest and research, and contains passages of brilliant and even poetical eloquence. The object of his work is to trace the germ through all its changes to the period of maturity; and the illustrations are principally drawn from the phenomena exhibited by eggs in the process of incubation, which he watched with great care, and has described with minuteness and fidelity. The microscope had not at that time the perfection it has since attained; and consequently Harvey's account of the first appearance of the chick is somewhat inaccurate, and has been superseded by the observations of Malpighi, Hunter, and others. The experiments upon which he chiefly relied in this department of natural history had been repeated in the presence of Charles I., who appears to have taken great interest in the studies of his physician. In the year 1653, the seventy-fifth of his life, Harvey presented the College of Physicians with the title-deed of a building erected in their garden, and elegantly fitted up, at his expense, with a library and museum, and commodious apartments for their social meetings. Upon this occasion he resigned the professorship of anatomy, which he had held for nearly forty years, and was succeeded by Dr. Glisson. In 1654 he was elected to the presidency of the college, which he declined on the plea of age; and the former president, Sir Francis Prujean, was re-elected at his request. Two years afterward he made a donation to the college of a part of his patrimonial estate, to the yearly value of #56, as a provision for the maintenance of the library, and the annual festival and oration in commemoration of benefactors. At length his constitution, which had long been harassed by the gout, yielded to the increasing infirmities of age, and he died in his eightieth year, on June 3, 1657. He was buried at Hempstead, in Essex, in a vault belonging to his brother Eliat, who was his principal heir, and his remains were followed to the grave by a numerous procession of the body of which he had been so illustrious and munificent a member. In person he was below the middle size, but well proportioned. He had a dark complexion, black hair, and small, lively eyes. In his youth his temper is said to have been very hasty. If so, he was cured of this defect as he grew older; for nothing can be more courteous and temperate than his controversial writings; and the genuine kindness and modesty which were conspicuous in all his dealings with others, with his instructive conversation, gained him many attached and excellent friends. He was fond of meditation and retirement; and there is much in his works to characterize him as a man of warm and unaffected piety.